What Is the Nispero (Or Japanese Loquat) Fruit? What Is the Nispero (Or Loquat) Fruit? 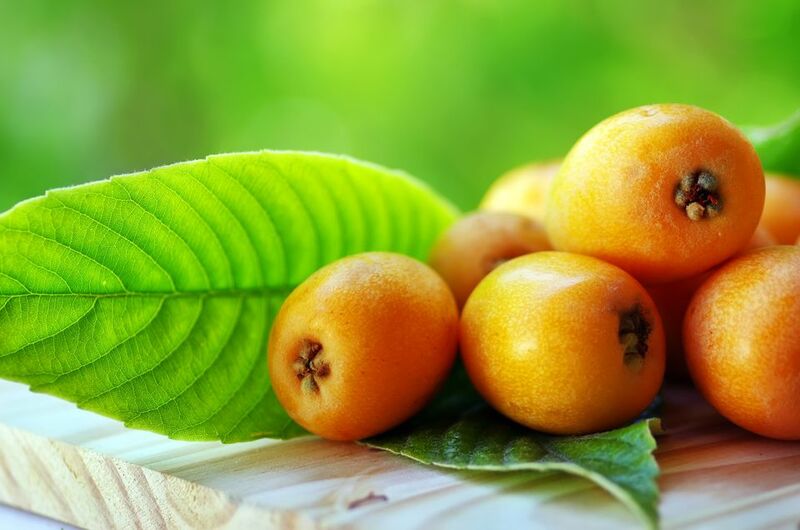 The nispero or Japanese loquat in English is an Asian fruit that has been cultivated for thousands of years. Although introduced to Spain about two thousand years ago by sailors arriving in ports of the Valencia region, it wasn't until the 19th century that the loquat began to be cultivated in Spain and elsewhere around the Mediterranean. The loquat tree thrives wherever citrus trees do, making the warm coastal areas of the Mediterranean a perfect fit. Spain is the main producer of loquat in Europe. It is also known as the medlar. There are many varieties of loquat, each with a slightly different appearance. Generally, the loquat is pear-shaped, with smooth dark orange to the orange-yellow skin. It doesn't have the crunch of an apple but has soft, creamy yellow flesh with two to four large seeds in the center. The skin is edible. The fruit has a sweet and sour taste, described as being a mixture of citrus, peach, and even mango. It is most sweet when fully ripe. The two most common varieties in Spain are the Argelino (Algar) and the Tanaka. The Argelino bears earlier and is more sweet, suitable for eating fresh. The Tanaka bears later and is more tart, suitable for use in pies and cooking. Loquats are in season during the months of April, May, and June. The fruit is harvested when ripe rather than picking it while still immature as they do not ripen off the tree. Commercially-grown varieties come to bear all at once, while those planted for individual use may bear fruit over several weeks. The white blossoms are fragrant and can add delight to a garden. The fruits are generally enjoyed raw. They can be eaten off the tree, with the stem removed. They can be cut and used in a fruit salad, or you can poach them in light syrup to serve. Because loquats contain lots of pectins, they can easily be made into jam or preserves. They can be baked into pies and tarts. They can be blanched, peeled, seeded, and frozen for later use. As with apricots, the seeds have cyanide compounds and should be removed before using the fruits in cooking. But the seeds are used in Italy for making nespolino liqueur. The harvested fruit will keep for about 10 days at room temperature. They can be kept in cold storage for 60 days but have a shelf life of only three days when removed. They shouldn't be stored in polyethylene bags as that changes the flavor of the fruit. The high pectin content is a source of insoluble dietary fiber, which is beneficial for gut health. The fruit is also a good source of vitamin A, providing 51 percent of the recommended daily allowance per 100 grams. It has smaller amounts of potassium, B vitamins, and minerals. Most of the caloric content is from carbohydrates.